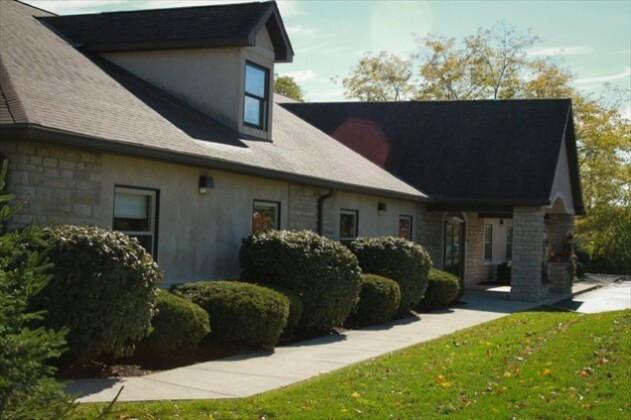 Our center is located on a 2.2 acre of land only a mile off of the Tuttle Crossing exit in Dublin, Ohio. Tucked away on a dead end road surrounded by trees, it is a safe, calming environment for children. The building is 7,100 square feet and is a one-story building with 2 wings. We are conveniently located near many local businesses including the Mall at Tuttle Crossing, Nationwide Insurance, Cardinal Health, CareWorks and BMW to name a few. Our physical address, 5400 Wilcox Road, is accessible from either Tuttle Crossing Boulevard or Hayden Run Road on the boarder of Hilliard and Dublin.